The Pittsburgh Beautification Project was the idea of artist Bob Ziller. For several years he’s been the driving force behind those flower covered boards on abandoned buildings around town. 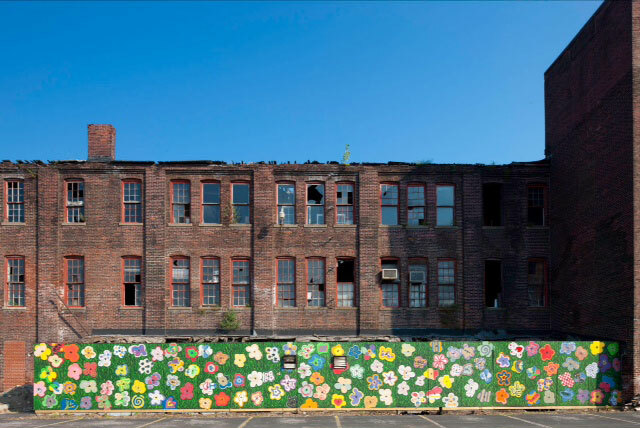 While there are many, many buildings now sporting the bright flowers inspired by Andy Warhol, we haven’t tried to map them all on this site. Instead we’re including this one project to represent them, and to acknowledge Mr. Ziller’s contribution to so many neighborhoods. Field of Warhol Flowers was done along a parking lot fence with the help of hundreds of kids. One of many examples where Bob Ziller has used his talent as an artist to spruce up a neglected site.